DB BahnBau, a subsidiary of giant Deutsche Bahn, wins tender for laying 100 km of rails in north and central Israel. DB BahnBau, a subsidiary of transport giant Deutsche Bahn, has won the tender for laying 100 kilometers of railway in Israel's northern and central regions. Deutsche Bahn, formerly known as Reichsbahn, was an integral part of the Nazi machine that annihilated six million Jews in the Holocaust. The Netivei Yisrael company has announced that a joint Israeli-German offer has defeated an offer by a French-Spanish-Israeli group for laying the rails. DB BahnBau, in a joint offer with Israeli firms Shikun Uvinui and Lesico, offered a 800 million shekel project, which was accepted. The competitor was French firm TSO, which made a joint offer with Spanish INDRA and Israeli firm Ta'an. 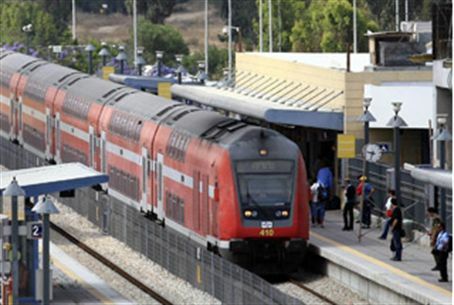 The tender is for infrastructure work on the Haemek line between Haifa and Beit She'an, a railway that will connect Carmiel to the coastal railway at Akko, and a new line between Kfar Saba and Herzliya. Deutsche Bahn (DB) has admitted that the tracks and freight of the Reichsbahn – as the firm was known in Nazi times – were integral to the Nazis' extermination plan. "Without the Reichsbahn the industrial murder of millions of people would not have been possible," said DB's in-house historian, Susanne Kill, in 2008. Three million Jews and Roma – including around 1.5 million children – were gathered from across Germany and Nazi-occupied Europe and transported on Reichsbahn railway tracks in cattle wagons to extermination camps. The process involved carefully kept timetables, reliable contingents of drivers and precise coordination with the military. Prisoners were even charged a fare for the journey, allowing the railways to earn millions of Reichsmarks from the death transports. Adults paid 4 pfennigs per kilometer, children 2 pfennigs, while those under the age of 4 traveled free. Trainloads of 400 or more, which amounted to massive overcrowding, received a 50% discount. The Deutsche Reichsbahn, also known as the German Reich Railway, was founded in 1920 as the Deutsche Reichseisenbahnen when the Weimar Republic took national control of the German railways, which had previously been run by the German states. In 1924 it was reorganized under the aegis of a railway company that was 100% owned by the German state. In 1937 the railway was reorganized again as a state authority and given the name Deutsche Reichsbahn (DRB). After World War 2, the railway in West Germany became the Deutsche Bundesbahn (DB, German Federal Railway). In 1994, following the German union, the East German Deutsche Reichsbahn merged with the West German Deutsche Bundesbahn to form Germany's new national carrier, Deutsche Bahn AG, technically no longer a government agency but still a 100% state-owned joint stock company. 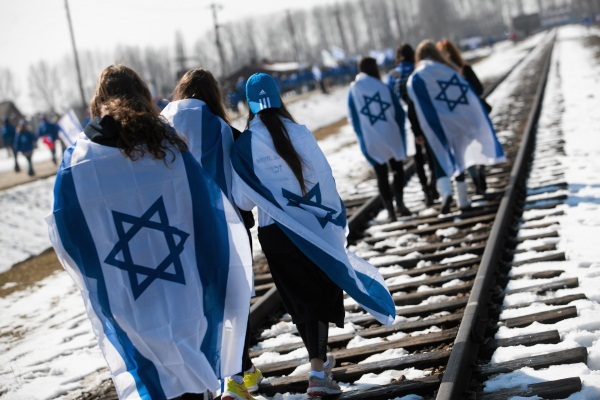 Any Israeli cooperation with the German national railway firm would have been unthinkable in the decades that followed the Holocaust, due to the pain that many victims would doubtless have felt. With Holocaust survivors dying off, it appears that this sensitivity is gone, at least among the firms and decisionmakers that made this railway contract possible.